Air Canada announced today that since commencing its normal course issuer bid on May 29th, 2015, it has purchased, for cancellation, a total of 3,185,735 Class A variable voting shares and Class B voting shares at an average share price of $11.53 for an aggregate consideration of $36.7 million. Since August 17th, 2015, the day Air Canada’s quarterly internal black out period ended after the release of its Second Quarter financial results, it has purchased, for cancellation, 3,085,735 Shares at an average share price of $11.46 for an aggregate consideration of $35.4 million. 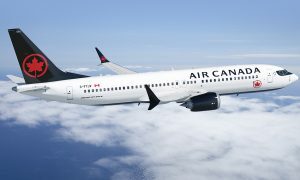 Air Canada announced the implementation of a normal course issuer bid on May 26th, 2015 to purchase, for cancellation, up to 10 million shares representing approximately 3.49 per cent of the 286,846,898 shares outstanding as at May 14th, 2015. Air Canada believes that, from time to time, the market price of its shares may not fully reflect the underlying value of its business and future prospects. 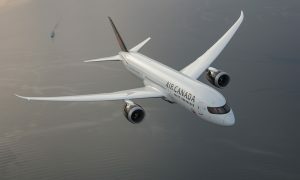 In such circumstances, Air Canada may purchase for cancellation outstanding shares, thereby benefitting all shareholders by increasing the underlying value of the remaining shares. 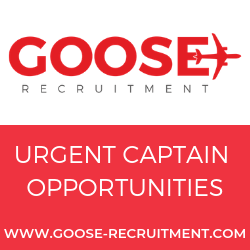 “The markets have been extremely volatile over the last several weeks due to a number of macro-economic factors, yet we continue to be very positive about Air Canada’s future prospects. 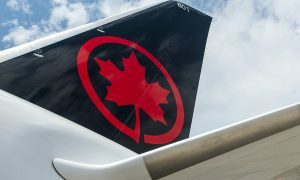 We continue to see good value for shareholders in purchasing our shares through the normal course issuer bid and continue to believe, as we previously said, that a modest normal course issuer bid is consistent with our capital allocation strategy and shareholder expectations,” said Calin Rovinescu, President and Chief Executive Officer of Air Canada.